The ideal plant to use after a heavy meal in order to avoid problems (troubled sleep or headaches) due to indigestion. It helps regulate the levels of triglycerides and cholesterol and has a positive impact on heavy legs. For your orders in pharmacies in Belgium please mention the following number: CNK 2064-228. Many studies have permitted to characterize the nutritional interest of the Chrysanthellum americanum. Its nutritional benefits to our circulatory system are the result of the impressive amounts of flavonoids and saponins found in it. It supports our circulation, especially in the legs and the eyes and helps to preserve us after an excessive intake of food (indigestion, sleeping problems due to indigestion etc.). It has also a positive effect on cholesterol and triglycerides. The Chrysanthellum is a big plant whose beautiful white flowers have a yellow or orange heart. It is commonly found in the savannas and high plateaus of Africa as well as in the mountainous regions of South America. The virtues of the Chrysanthellum were recently discovered in Europe. The extraction technique we apply helps us to obtain a great concentration in flavonoids and saponins. You can also take 2 capsules, for prevention, before a heavy meal. Pillboxes of 90 delayed released vegetarian capsules on microbeads. Para Chrysanthellum is a food supplement, not a drug. A dietary supplement cannot be used as a substitute for a varied and balanced diet and a healthy lifestyle. 279 mg microcrystalline cellulose (E464), 140 mg Chrysanthellum extract (Chrysanthellum americanum) including 20 mg maritimein, measured by HPLC, 9 mg shellac (E904). Vegetable capsules (E464). Store in a cool and dry place and away from light. Certain people having hepatic issues, there may be some gastrointestinal disorders that disappear when decreasing doses. In some sensitive subjects we can observe a slight increase in nervousness, likely due to the tonic action of the plant but this usually disappears after a few days. Cholesterol: Para Olive leaf (to develop the good cholesterol and fight the bad cholesterol), Para Green Tea (to control one's cholesterol) and Para Flaxseed Oil Bio (for its regulating effect on cholesterol). 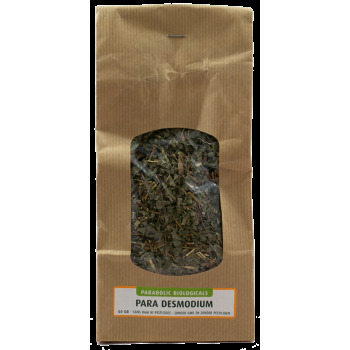 Detoxication: Para Desmodium adscendens (tea, syrup without sugar or caps) (to cleanse the liver). Heavy legs: Para Grape Marc (for its beneficial effect on heavy legs , Light Legs Balsam (in case of swollen en painful legs). Heavy head: Para St John's Worth (for its relaxing effect).